My First Christmas Manicure of the Year! I finally got around to doing something Christmasy on my nails. I have no patience for nail art, so glitter gradients are about as far as I’ve ventured into the nail art realm. And a glitter gradient is exactly what I have today! I used Darling Diva Black Diamond as the base, and China Glaze Party Hearty over that. 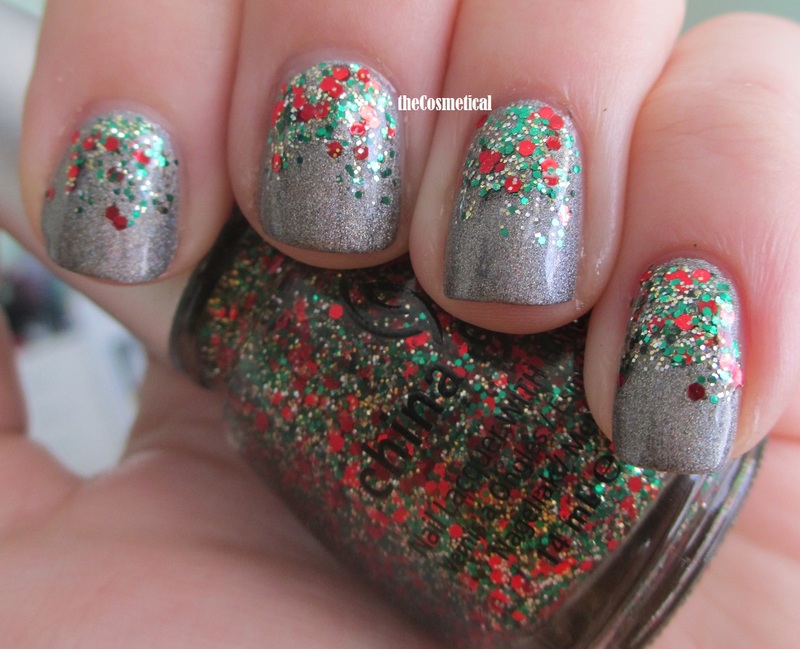 Party Hearty is a glitter topper with red, green, and gold glitters in different sizes. This was part of China Glaze’s 2010 Christmas collection, but it is still one of my favorites. However, I think it’s time for a new favorite. When I opened this up, it was pretty dried up. After 3 full droppers of Seche Restore, I finally got it back to something resembling nail polish. Unfortunately, I think it may be time to retire this one. The awesome holo in Black Diamond was pretty much over taken by Party Hearty, but I still enjoyed this as an understated Christmas manicure. Any recommendations for a must-have Christmas glitter? 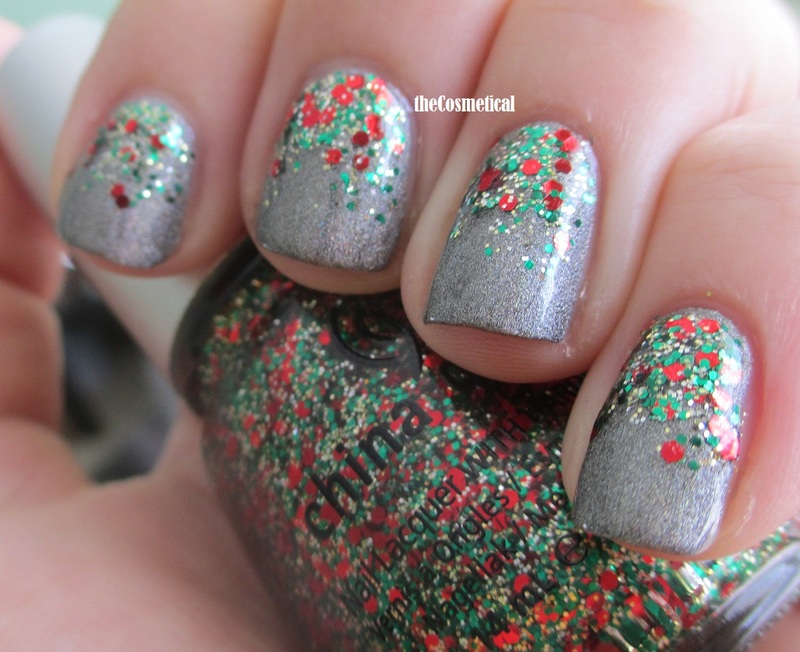 This entry was posted in China Glaze, Darling Diva and tagged Black Diamond, China Glaze, Christmas, Darling Diva, Glitter, Holographic, Party Hearty on December 10, 2013 by thecosmetical. I recently had the opportunity to try Darling Diva Polish for the first time. Carrie has a beautiful range of colors, and her most recent Diamond and Opal collections are no exception. First is Black Diamond. This is a stunning mid-tone grey linear holo. This was a smooth formula, and I only needed one coat (plus top coat)! These pictures were taken on a very cloudy day, and as you can see, the holo effect is still strong! I waited for days for the sun to come out, and finally gave up on that. I can only imagine how Black Diamond will look in full sun! And from the Opal Collection, Teal Opal. This is a teal jelly polish packed with flakies and scattered holo glitter. I used 3 thin coats plus top coat here. The formula was a bit thicker but still smooth and easy to work with. Darling Diva polishes retail for $8 for a 15 mL bottle, and you can find them on Big Cartel. You can also follow Darling Diva on Facebook. What’s your favorite Darling Diva polish? *The products in this post were provided by the company for an honest review. 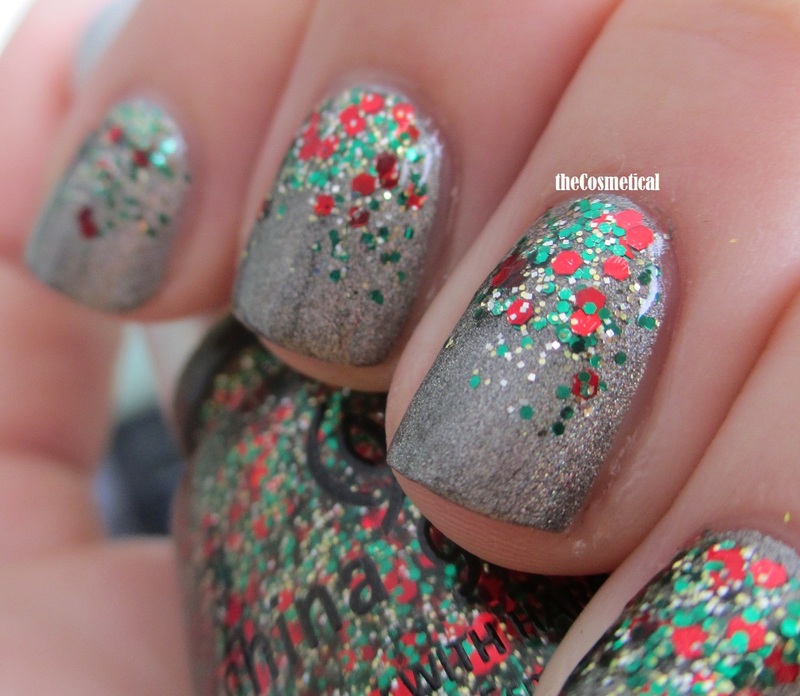 This entry was posted in Darling Diva and tagged Black Diamond, Darling Diva, Flakie, Holo, Teal Opal on December 6, 2013 by thecosmetical.